Home / Contests • Featured / Contest And Review! The Shack On Blu-ray! The Inspiring Family Film Is Out May 30th! When it comes to faith and family films there are many pitfalls that a movie can fall into. They can seem forced and cliche not to mention the production aspects don’t measure up to even Hollywood indie films. It’s rare then, that a film comes along that avoids a lot of these pratfalls that’s marketed to a faith and family audience. In The Shack, which is out on DVD and Blu-ray May 30th, Sam Worthington (Avatar) is Mack Phillips, a man who is holding onto his past and has suffered more than the average human. He’s had an emotionally turbulent past with his father and now one of his children has been abducted during a family camping trip. The Shack is not for the faint of heart as it deals with deep issues that will sit with you for some time. It turns out that Mack’s child is indeed murdered and Mack must now try and deal with this. 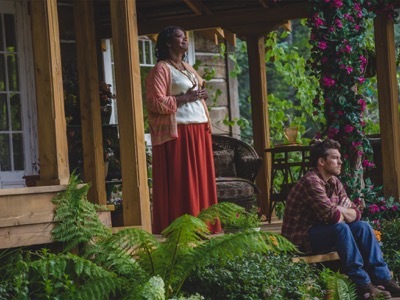 Academy Award Winner Octavia Spencer and Tim McGraw are put in Mack’s path to try and help him, albeit with some divine intervention. Mack receives a note in his mailbox that is signed “Papa” that tells him that he has been missed and to meet at the Shack. It’s in this quest that the film finds it’s footing. It’s bolstered by the top notch cast, Sam Worthington is very steadfast in his portrayal of Mack and really allows the subtle elements of the story to play out. It’s a very good performance that not only elevates the material but the entire film. 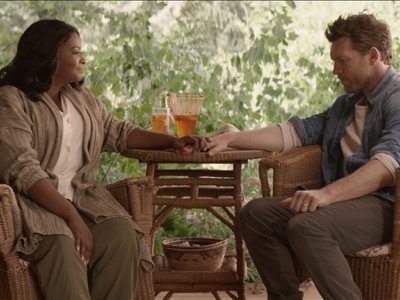 Octavia Spencer is also a breath of fresh air, she nicely undercuts the deep subject matter and everytime she’s onscreen she lightens things up which is a welcome change of pace. An audio commentary track with Director Stuart Hazeldine and some very brief deleted scenes. There are five featurettes, each worth a viewing if you like the movie. Touched by God: A Writer’s Journey – William Paul Young, the author of the story is profiled in this short feature. 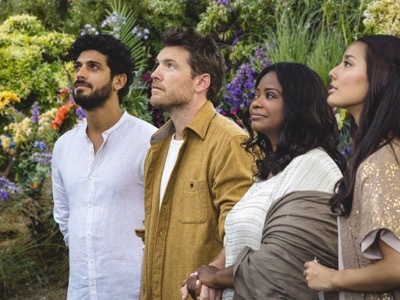 God’s Heart for Humanity – This is an interesting featurette. It talks about the different interpretations of God and Divinity onscreen. “Heaven Knows” – The Power of Song with Hillsong United – A brief look at the music in the movie. Premiere Night: A Blessed Evening – This is a look at the premiere but intercuts interview footage as well as a performance from the red carpet. Overall, The Shack is a fine film and boasts an impressive cast. The performances are top notch and Sam Worthington does an admirable job anchoring the film. If you’re predisposed to faith and family films, I think you will really enjoy this movie. The heavy subject matter might not be suitable for all audiences, but older viewers will really be drawn to the emotional complexity on the screen. Now, thanks to the folks at Lionsgate, we have a copy of The Shack on Blu-ray to giveaway! Sound good? Also check out The Shack on Amazon! TTM Tues! Successes From The Stars Of M*A*S*H*! The Hateful Eight! Aladdin! Battlestar Galactica! Raiders of the Lost Ark! And More! Contest Time! Good Grief! 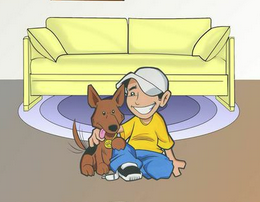 Win A Hand Drawn Sketch From Shaun “Spanky” Piela! Check Out The Indiegogo Page To Get The Film In Theaters! (ended) MTF Contest Time! 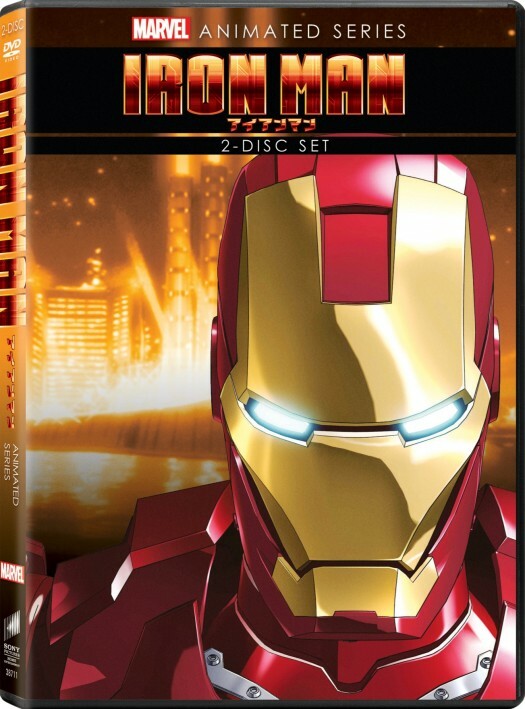 Win A DVD Copy Of IRON MAN ANIME & X-MEN ANIME! Exploding Onto DVD April 24th! Im looking forward to seeing this,it looks very interesting and a good movie! I’m looking forward to seeing how the movie deals with loss. I like that this movie is about faith and love. I’m looking forward to seeing how amazing this movie is! I’m looking forward to feeling good after seeing this film. So many movies leave me feeling depressed. I am excited to see how God is represented in the movie. I would say the actors. They are saying that this movie is good. I am just excited! 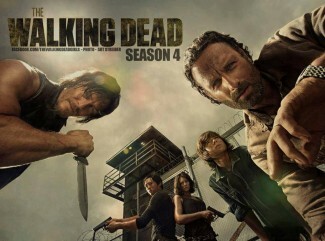 I’ve read the books and now can’t wait to see the movie..oh, and Tim Mcgraw!! Octavia Spencer. Love her work. The thing I am most excited about in The Shack is seeing how the premise of the film plays out, since it seems like the movie has a very interesting premise based on the trailers I’ve seen for it. Thanks for the fantastic opportunity to win!